Hiya! 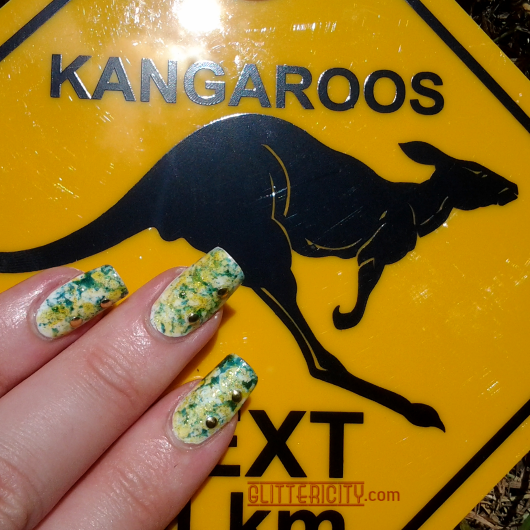 No time for a full post, but here's a quick look at my mani for Australia Day! 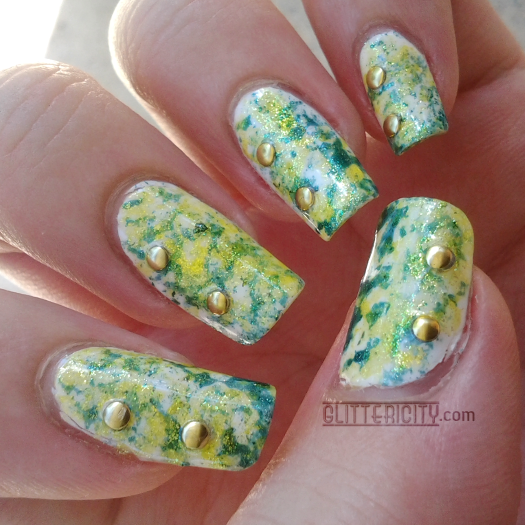 I used a plain white background, then sponged on shimmery yellow (Color Club Daisy Does It) and green (Zoya Logan) with a kitchen sponge, to get the dense patchy look you see here. 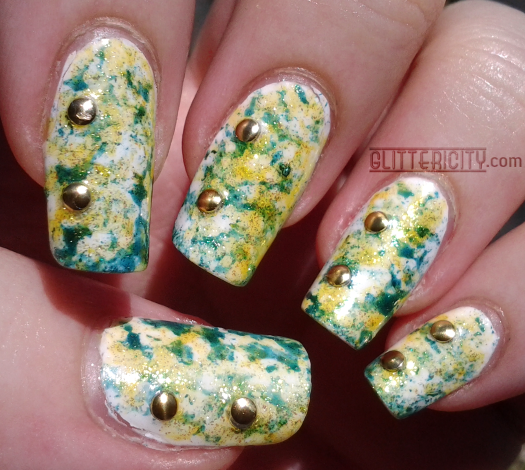 Then I added two gold studs from Born Pretty Store to each nail, on one side. Finally, I topcoated with two layers of KBShimmer Clearly On Top.